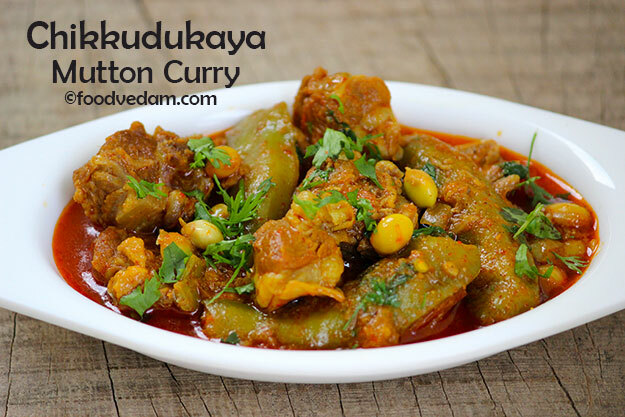 Chikkudukaya Mutton curry recipe with step by step instructions. 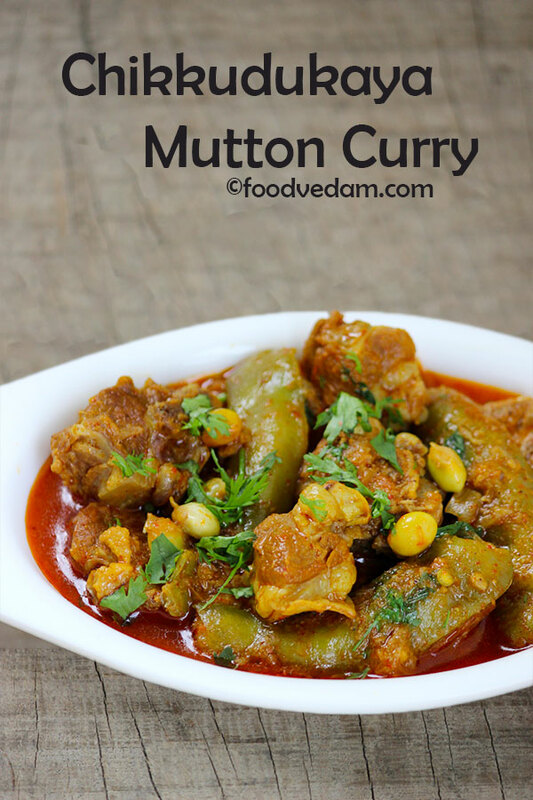 I learned this recipe from my father-in-law(he is a good cook and really loves to cook for us).he prepares mutton curry with fresh organic Broad beans which are grown in the back yard.he told me that “if you have a habit of eating non-veg regularly, then it’s good to cook along with the vegetables.so that it gets digested easily and try to avoid masala”.and I totally agree on that. the matter that always frightens me is worms.Oh! my God.I open each pod in a fear that there may be a worm inside.my father-in-law use to mix the ash with water and spray on the plants to prevent the beans from pests.taste of the curry depends on the beans.you need to choose fresh pods with full of beans in them. In the recipe below, I have added broad beans to the half-cooked mutton curry and re-cooked them together.this is because the mutton takes a longer time to get cooked.the second way is to boil the beans separately in salt water and add them to the fully cooked mutton curry.after adding, you need to cook them together for at least 5-7 minutes and then turn off the heat. this recipe goes well with rice and rotis.Try and enjoy this beautiful recipe.happy cooking :). you may also like� dosakaya chicken,� Gongura Chicken curry,� Gongura Mutton curry,� chicken chinta chiguru fry. de-string the broad beans and open each pod to make sure that there are no worms. heat oil in a pressure pan, add whole garam masala spices. add chopped onions, green chilies and sauté until they become soft. put ginger garlic paste and fry until the raw flavor disappears. add mutton pieces and cook on medium heat for 5-7 minutes. add turmeric powder, red chili powder, coriander powder, salt, mix well and cook for 5 minutes. pour water up to the level of the mutton pieces, cover with lid and pressure cook up to 5-6 whistles. wait until the pressure is gone.open the lid and add chopped tomatoes and broad beans.mix well. cover with the lid and pressure cook again up to 4-5 whistles. wait until the pressure is gone.open the lid, mix once and keep it on the flame until the water disappears. another method of the recipe is to pressure cook the mutton for 8-10 whistles and add the pre-boiled broad beans to the curry and cook for 5 minutes.